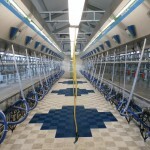 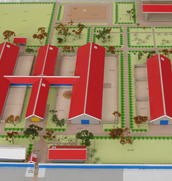 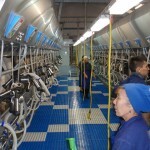 One of the main activities of Van der Ploeg International is setting up complete dairy farm projects. 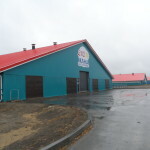 Van der Ploeg International is designing each project especially according local climate conditions and customers specifications using the knowledge of many years of experience which ensures easy to manage, animal friendly projects with a long lifetime. 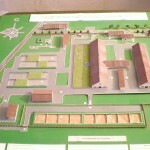 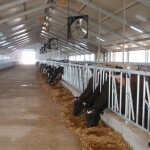 Starting with the delivery of architect drawings, we extend our services to the delivery of milking parlours, stable equipment, manure handling equipment, ventilation equipment and all specialized management and on-the-job training to bring your management and staff up to date in modern dairy techniques. 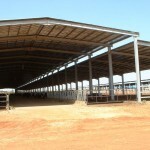 Optional we deliver complete steel constructions, doors, sandwich panels and all related dairy farm equipment.